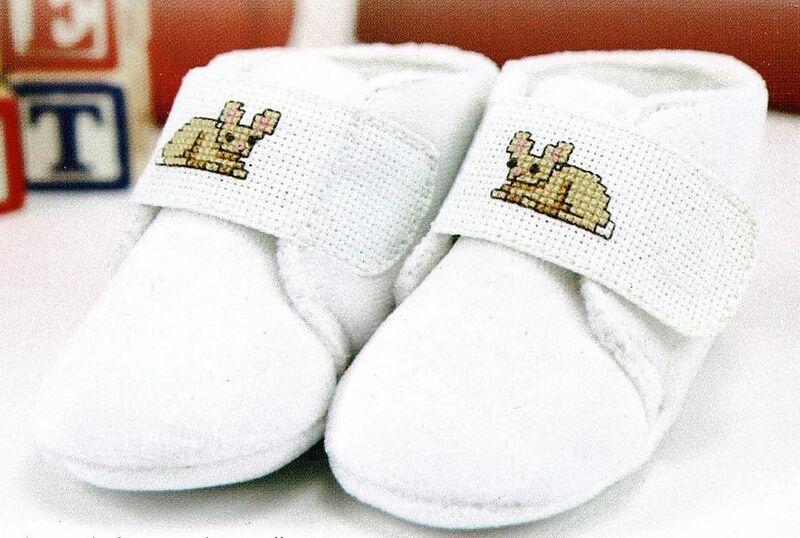 Pretty first size shoes with Aida band to embroider. The 100% cotton soft touch is suitable for ages 0 - 6 months. The Aida panel is 80% cotton/20% polyester and 18 count. The shoe is fastened with a Velcro circle. The design comes with a complementary bunny pattern and a pink bow pattern by Anne. Can easily be stitched in an evening.